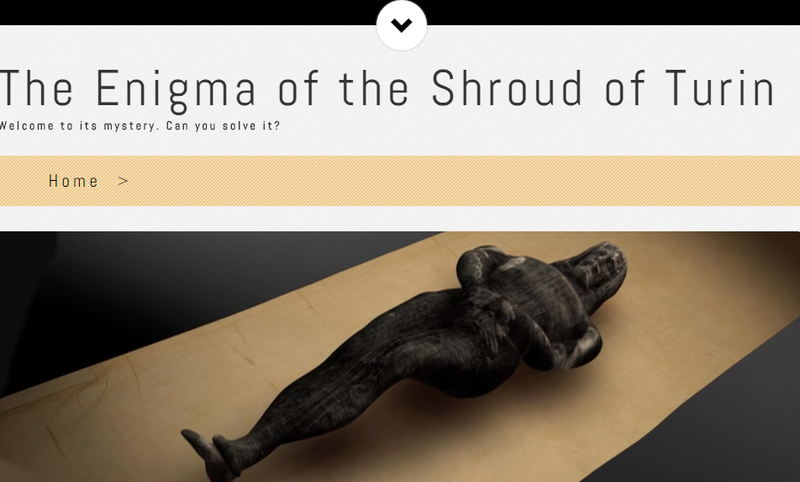 I just visited [David Rolfe’s] Shroud Enigma website. 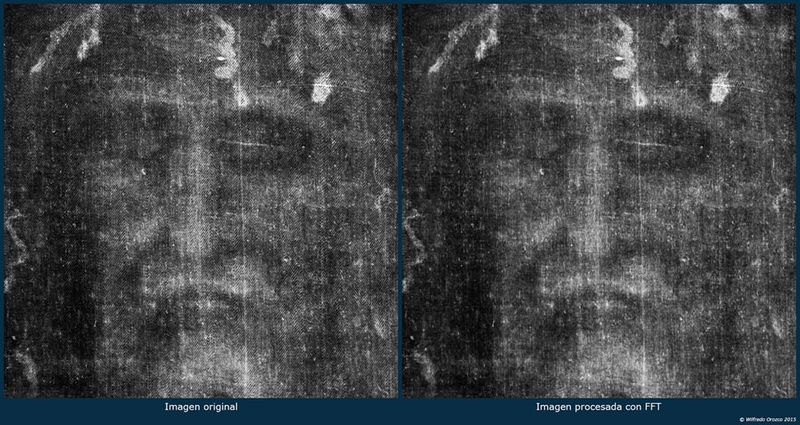 It has been a long time since I looked at it and I see that it has been revised to emphasize his wonderful Shroud of Turin films. Maybe you could direct your readers to it. Indeed. 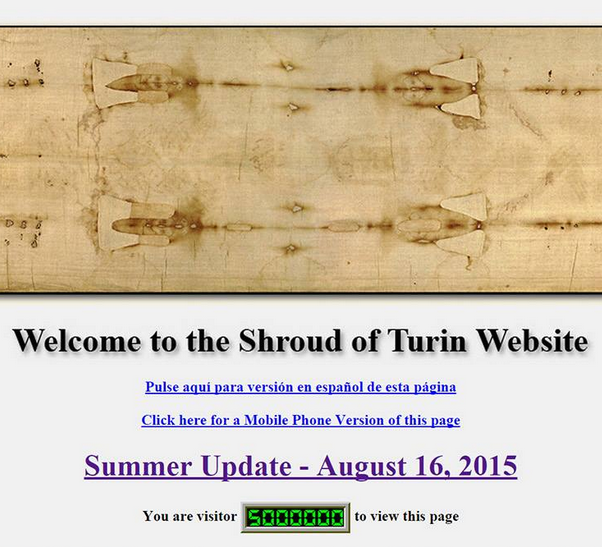 The site is The Enigma of the Shroud of Turin. And indeed the films are wonderful. However, I must say more. The Silent Witness, available on Vimeo, is truly a seminal work for the ages. I had not visited in awhile as well. Thanks for guiding me back to David’s site. … you know that by typing in “shroud.com/pdfs" you get a list of all of the pdf papers on the site in alphabetical order. This can be useful in doing research. You should let others on your blog know. 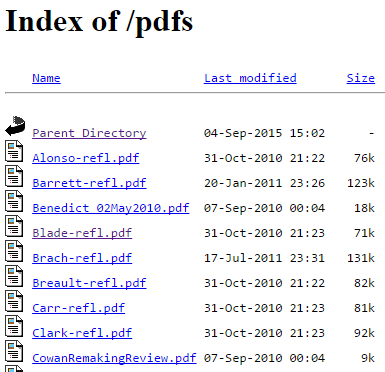 Actually, the pdfs directory is not the only place pdf files are stored on the site. With any of these searches, it is a good idea to add some words like shroud or pollen or whatever is your particular interest of the moment. If you start your search with Google Advanced Search, you can specify a language. We hope you are enjoying the Fall Update to Shroud.com! It was a large one and also launched our once-a-year fundraising effort. Naturally, we hope many of you will make a tax deductible contribution to STERA, Inc. since we must rely in part on our viewers for financial support. We have made it easy to safely contribute online using PayPal or a credit or debit card via our Secure Contribution Form. You can also contribute by mail or by telephone. We thank you in advance for your consideration and generosity. Here is a link to latest IRS 990 I could find online. We are happy to announce that our major Fall Update is now online! Just visit our Late Breaking Website News page for all the details. 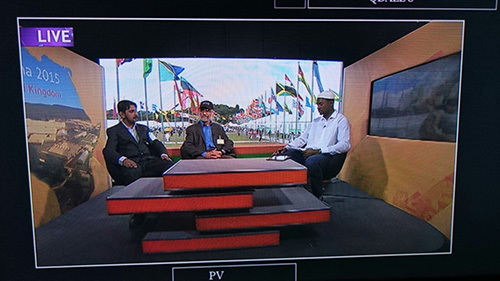 This update leads off with my full report on the 49th annual Ahmadiyya Muslim Community Jalsa Salana UK Convention that was held in Hampshire, England, in August of this year, where I was invited to speak by the publishers of the highly respected 113 year old journal, The Review of Religions. I was joined by Pam Moon, who displayed materials from her beautiful Shroud of Turin Exhibition, including a lifesize Shroud replica and lifesize prints. The article also includes many photographs and videos from the event. We have also added the next ten issues of Rex Morgan’s Shroud News, a report on the Children’s Museum of Indianapolis Exhibit, a memorial for the passing of two long time Shroud researchers and an article about another relic that is of interest to Shroud researchers. You will also find a large selection of recently published Shroud articles and papers, a list of recently published books and newly released videos, news of a special sale on our backlit Shroud transparencies in PhotoGlow frames from our Website Store page, important information about our 20th anniversary update coming on January 21, 2016and much more. CONTRIBUTE: With this update, STERA, Inc. begins its annual fundraising campaign. STERA, which operates shroud.com is a 501(c)(3) Nonprofit. Here is a Financial Summary. As you can readily see by it, even a small tax-deductible contribution can make a big difference. The Next Update Marks Our 20th Anniversary Online! I am currently working on our fall website update, which will go online around November 1st and will include ten more issues of Rex Morgan’s Shroud News. We published the first 18 issues in our last update and will continue until the entire collection is archived online. The publication provides a fascinating view of Sindonology in the 1980’s and 90’s and is well worth reading. And he provides a link to the page at shroud.com.